Buy your tickets now before they’re all gone, you won’t be disappointed. 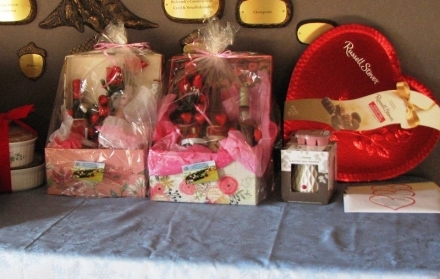 We have some very nice door prizes some for men and women, the music will be for your listening or dancing pleasure. The event will be held at Pistols & Pearls in their beautiful White Barn. It will be a night to remember. The Talihina Chamber of Commerce and Visitors Center will be hosting the Valentine’s Day Dinner February 9, 2019. Doors open at 5:30, Dinner served at 6:00. Singles $25.00, Couples $40.00, Table of eight $160 (we can accommodate a larger table if needed). Proceeds from the event go to the Talihina Chamber of Commerce and Visitors Center. They promote tourism and support our local businesses and strive to bring new businesses to the area.